Friday, October 17th is the final day to take advantage of registration discounts available to SEMA Show attendees interested in collision repair education programs. After today, SEMA Show registrations will increase from $25 each, to the on-site fee of $75 each. The Repairer Driven Education sessions will increase by $10 each when purchased individually, and a Full Series Pass to all Society of Collision Repair Specialists’ (SCRS) functions throughout the week will increase from $375 each, to the on-site fee of $400 each. To take advantage of current discounts visit www.semashow.com/scrs today. SCRS highly recommends pre-registration to ensure your attendance; however, on-site registration options to all SCRS programs will be available, if space is available. A dedicated registration table can be found outside of RDE sessions in the upper level of the Las Vegas Convention Center, North Hall outside of rooms N231-N241. The upper level can be accessed via the escalator in the North Hall Lobby, next to the food court. The 2014 lineup of education sessions on Tuesday, Thursday and Friday boasts more than 20 brand new sessions that have never been included in the RDE catalog of offerings before and a dozen speakers who had not been featured in the previous year’s sessions. Such changes in the program on a yearly basis are part of what continues to attract a growing audience, with thousands of education units already sold for the upcoming Show. Whether you have an interest in marketing, estimating, business management or technical operations within the repair facility, there is content that is designed and compiled to provide you with the resources necessary to set your business apart. In addition, the entire Wednesday schedule has been reconstructed, with one of the most notable offerings being the launch of the OEM Collision Repair Technology Summit. The Summit will allow the industry to explore ways in which automotive design, technology and materials impact repairability; and in turn, how repairability influences structural design and development. The OEM Collision Repair Technology Summit will feature automakers such as Audi, BMW, Ford, GM, Mercedes-Benz, Tesla and Toyota, as well as the Aluminum Association Automotive Transportation Group and the Steel Market Development Institute’s Auto/Steel Partnership. Registration is required, and can be selected as a stand-alone event or as part of the RDE Full Series Pass. 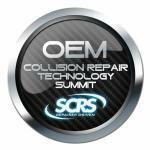 To see a full list and schedule of offerings in the Repairer Driven Education series and OEM Collision Repair Technology Summit, visit www.semashow.com/scrs. About SCRS’ RDE Series: REPAIRER DRIVEN EDUCATION (RDE) series will feature 4 days of seminar offerings, many of which are uniquely designed and being offered only at the 2014 SEMA Show. Each of the courses has been individually selected or crafted by SCRS because the content specifically focuses on information that is relevant to the diverse array of marketplace perspectives within the collision repair industry. 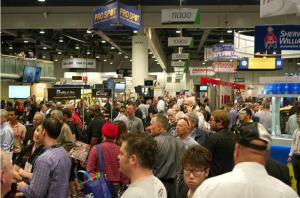 Register at www.semashow.com/scrs.